St. Patrick's Day Cookies - Crafty Mama in ME! 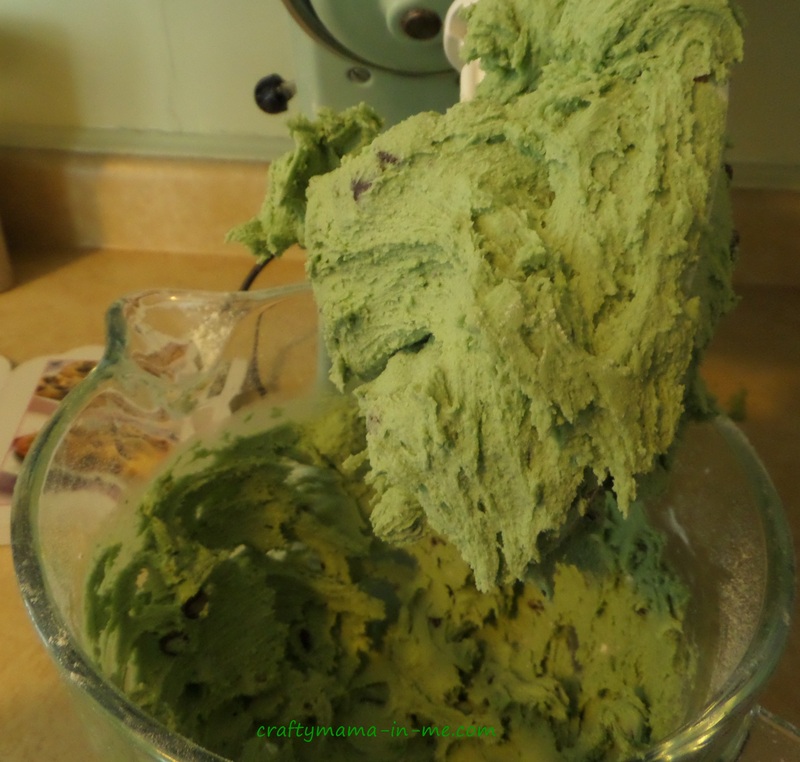 Our third project on Sunday was to make cookies. 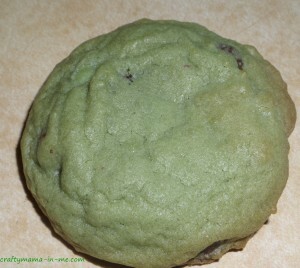 Since we were theming everything around St. Patrick’s day we made green chocolate chip cookies. 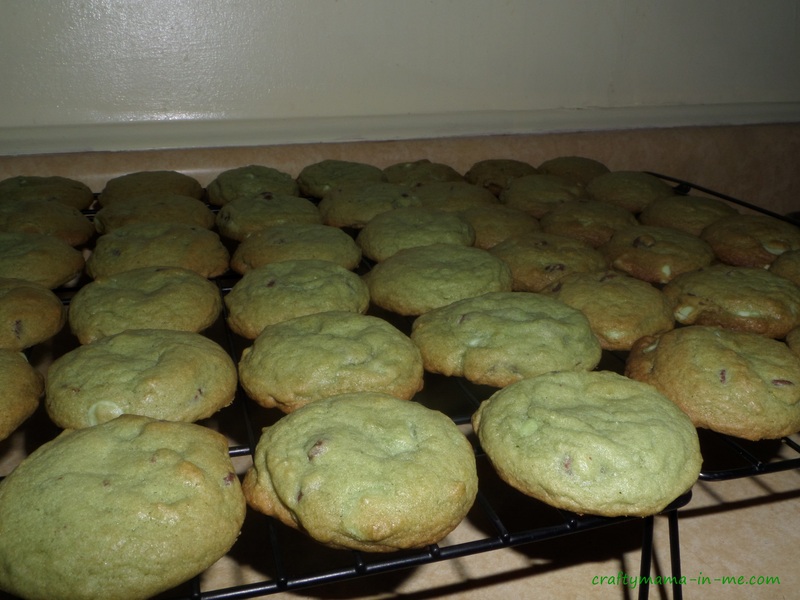 But not just any chocolate chips – we used the winter mix that had a mix of mint and dark chocolate chips (I had picked them up after Christmas for clearance pricing!). I have a cookie cookbook that I use for my chocolate chip cookie recipe. Add the eggs, vanilla, and food coloring and mix. 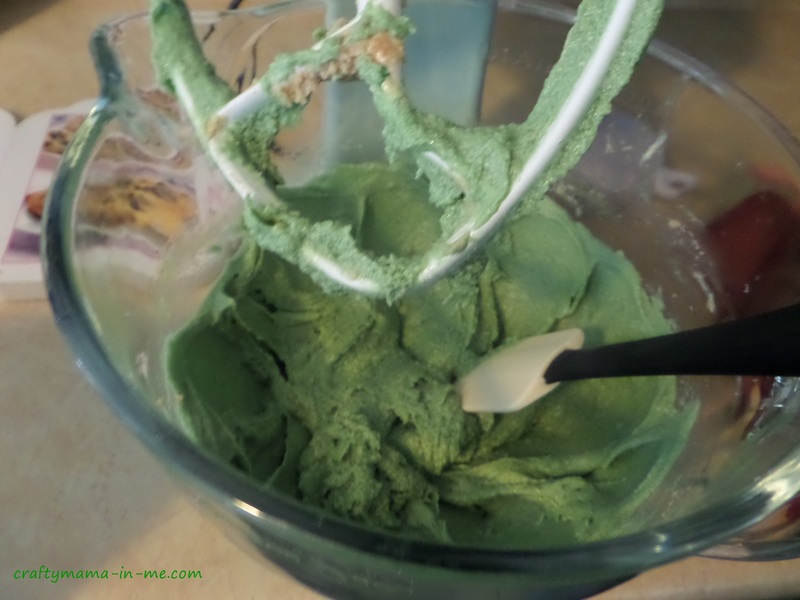 Next add the baking soda, salt and flour. 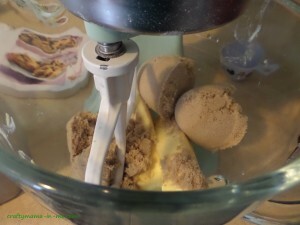 Mix until fully blended. 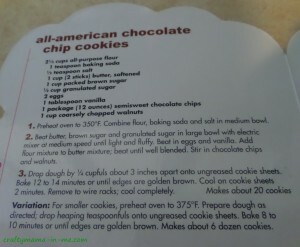 Add the chocolate chips and gently mix. 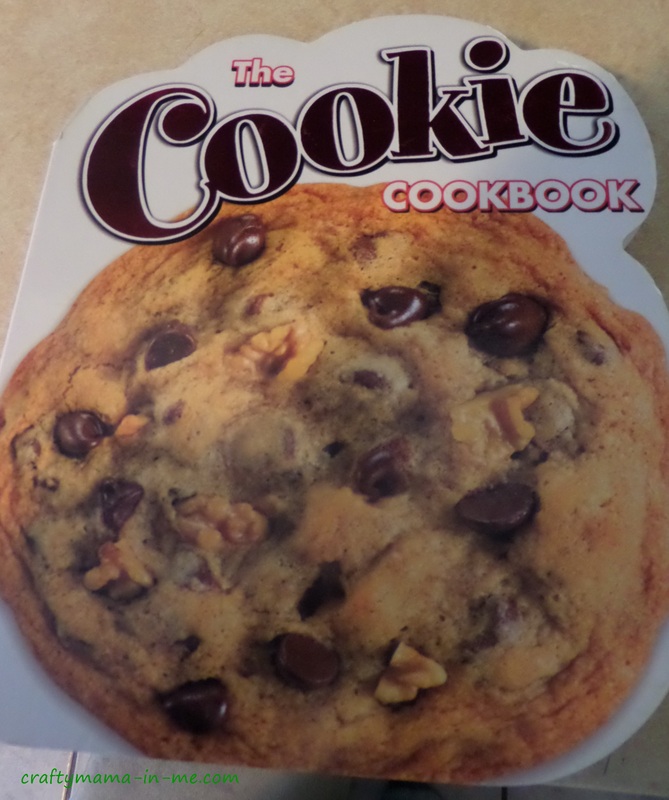 I used a small cookie scoop and placed 12 cookies per sheet at a time in the oven. 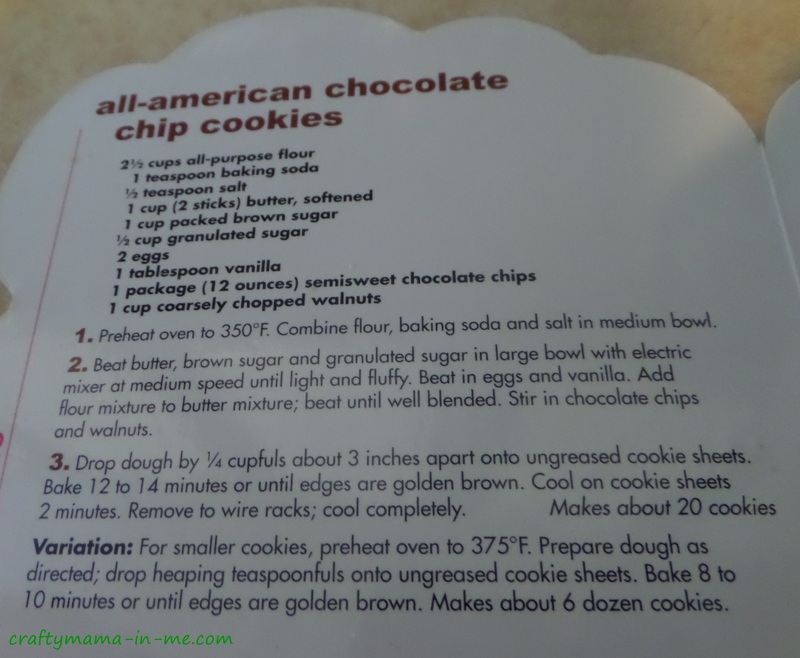 I’ve got to say that I love my Convection oven – it is amazing to be able to cookie two sheets of cookies at the same time! Bake roughly 12 minutes until slightly browned.